This week's Question: If you could "unread" a book, which would it be? Is it because you want to start over and experience it again for the first time? Or because it was THAT bad? 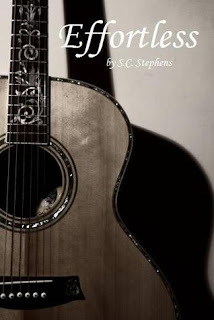 I would love to reread Thoughtless & Effortless again by S.C. Stephens. I love those books so much! I read them as fast as I could, and I'd love to experience them again for the first time (only slow down and enjoy them this time)! Enter my first Giveaway here, for an e-copy of Taste by Kate Evangelista! New follower, I can't say that I've heard of either of these books but I will be checking them out on Goodreads, thanks for stopping by and the follow. Hi! New linky follower hopping through. I've never heard of these books before. I'll have to do some research! Oooh I've been meaning to read this series! It's gotten so many positive reviews! I can't wait! I've not heard of this author or these books. Thx for the visit and the follow! Now following! Happy FF. Hopping through. I'm not familiar with S.C. Stephens. I really like the guitar on the cover though. They are two books that Jess and I both Love :) They're contemporary romance with a lot of drama, but they are really good! I haven't heard of these books but from the sounds of it I just might have to add them to my never ending list. Thanks for stopping by my blog. New GFC follower! I guess I'm in the majority... never heard of these books either, but I'm glad you liked them! Thanks for stopping by my Friday Follow . I've never heard of those books, I'll have to take a look. 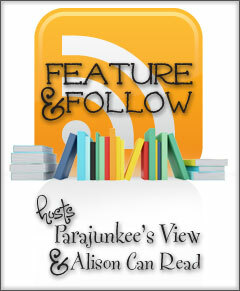 Thanks for stopping by my blog - both of those books are new to me - I haven't heard of them, much less read them! Definitely something I should look into in that case! Oh I didn't know these ones but I think I now need to check them. thanks! It's so great when you find an author you really like!! I'm a new gfc follower. Please follow back if you can. thanks for stopping by my FF! I have not heard of the books that you've mentioned but I'll have to look into them now! I look forward to reading more from you! returning the follow! Not familiar with these books, just hopping by. Hm, I haven't heard of the books or the author before. Thanks for hopping by!! Old GFC follower! i followed you through twitter. These books look interesting! I'll have to check them out!! I want to read Thoughtless as well. I have heard good things! Thank you for following! Following you back. Thanks for stopping by - happy to return the follow. I've always wondered what it would be like to read a favourite book again for the first time, but I've also worried that it might not have the same impact at a different stage in life. Love the covers of those books! I'm going to have to look into them. Thanks for stopping by! Interesting choice! I have not ventured into the world of romance too much myself, but a romance with really good reviews might be a good place to start. Thanks for sharing! Never heard of those books, I will have to check them out. Thanks for stopping by my blog, I am following back! Happy FF and thanks for the follow! I still have to read these books but I have also heard they are great. Hi. New GFC follower. Love the blog and FF. I haven't read these books but I will have to add them to my long list. I love recommendations. Thanks. Hmm I've never read these books before. Hi, sorry I'm stopping by late for the Hop! I haven't read those books...I'll have to check them out.